Offering hospitality since 1989, Vritomartis is a very special naturist resort and like no other you will experience. It takes its name from an ancient Minoan Goddess who was much-revered and worshiped in the area of Crete where Vritomartis is situated. And ‘special’ is a word that applies to so many aspects of this family-owned nudist hotel. Visitors will enjoy one of the 85 renewed rooms. Feel reborn after a good sleep in one of the 161 beds. Start your day by the pool bar and take a walk at the public areas designed for naturist living. 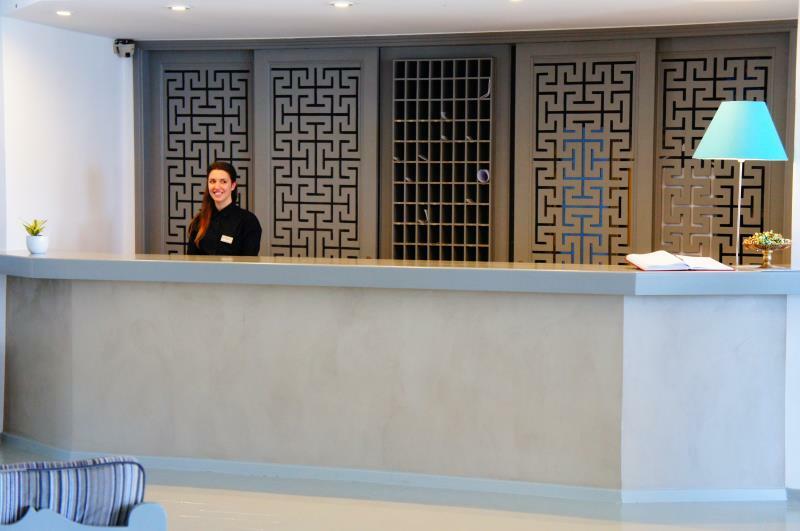 General Manager Nikos Dourountakis reassures that “Vritomartis is ready to welcome hundreds of visitors for one more year by offering top quality services in a unique naturist environment in Crete”. The opening of our hotel at the 22nd of April sounded the end of our writing Contest – Share Your Cretan Naturist Experience. We would like to thank everyone that participated at our contest and we wish each one of you won our 300€ prizes but it could be only one winner! And The Winner Is… Dom! We want to congratulate Dom for his win and for the very nice experiences and photos he included at his Cretan Naturist Experience. Looking forward to meet him again during his naturist holidays at Vritomartis and award him his prize! South Crete might be a “secret heaven” but once you discover it we bet you want to share it! “A big thank you to the Vritomartis team for this nice gift. It was a pleasure to share on this blog my Cretan experience in a place where naturism is so pleasant to practice! Visiting Crete means enjoying the tasty, yet healthy, Cretan diet. Buffets have been improved to pleasure you. Longingly count the minutes before tasting one of the local dishes, most of them prepared with ingredients from our own olive groves, vegetable gardens and even our own farm. 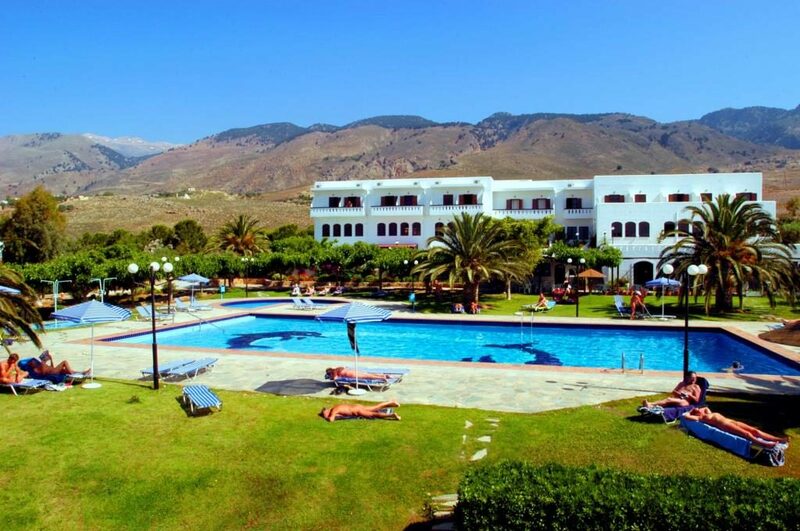 Vritomartis Naturist Resort is something more than a hotel. It’s a unique relaxing yet joyful experience. Have fun in the public areas which include pool, bar and lounge, mini mart, shopping points and sports area. A variety of entertainments, excursions and sports events, will never let you feel bored. Vacation at Vritomartis guarantees top quality services. The resort was given a QS Quality Service Certificate in both entire hotel operation and hotel food provision departments. Per TripAdvisor, Vritomartis Naturist Resort was provided with a 2015 Certificate of Excellence and was also named 2014 TripAdvisor’s Traveler’s Choice for Romance. Don’t forget to visit our website for more information and stay in touch with Vritomartis through our blog. Here you can read reviews related to activities or accommodations and receive the most current news about the hotel or about naturism to keep you up to date. We encourage our visitors to actively participate in our blog. Comments and reviews can be shared as well as videos and photos etc. of your activities, trips and excursions during your stay at Vritomartis. This entry was posted in Vritomartis News and tagged Press Release, Share Your Cretan Naturist Experience, TripAdvisor, Vritomartis, Vritomartis Contests by Vritomartis. Bookmark the permalink.